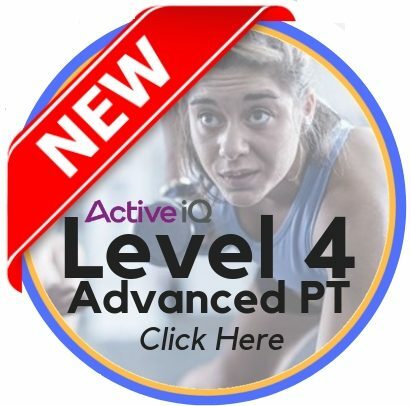 The NEW Level 4 Certificate in Advanced Personal Training provides the key skills and advanced knowledge required to establish you as an expert. In a highly competitive market, successful personal trainers are results driven and confidently differentiate their services. Throughout the Level 4 Certificate in Advanced Personal Training you will gain a comprehensive, scientific and evidence-based approach to programming. 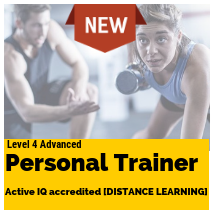 This 12 week Level 4 Certificate in Advanced Personal Training will allow you to provide a greater level of service to all future clients as an advanced personal trainer. Meaning your training session become more focused and relevant to your client’s goals. Your coaching is based on science and therefore, client results are guaranteed, which ultimately means greater client retention and attract more clients as you become an expert. 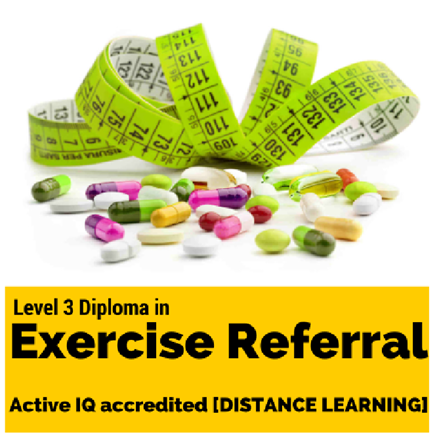 Unlike all other Level 4 Specialist qualifications, you do not need a qualification in Exercise Referral before enrolling. 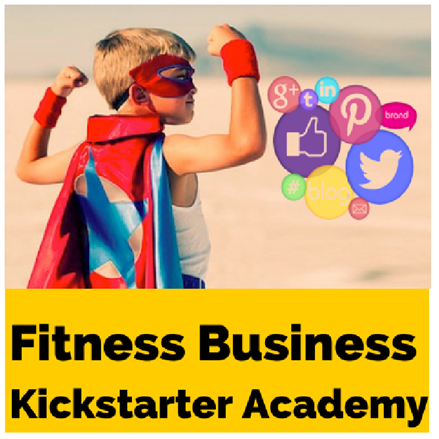 This is one of the only Level 4 qualifications in the fitness industry that will allow you to go straight to level 4 from the Level 3 Personal Trainer Qualification; this is because it focuses on getting maximum results with healthy clients. Become the go-to expert in Level 3 exercise referral and further progress on to one of two level 4 exercise specialist courses. 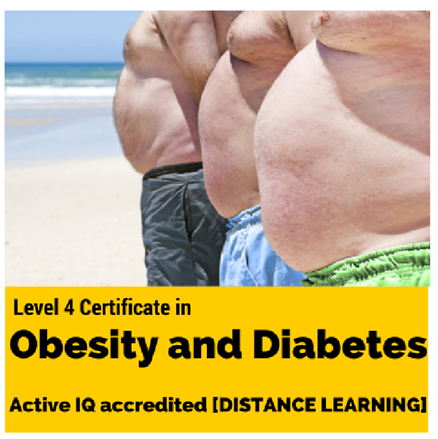 The level 4 obesity and diabetes qualification or the level 4 low back pain qualification. 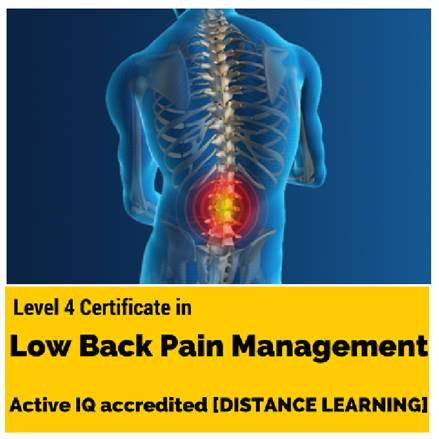 These Active IQ qualifications equip you with the latest science and coaching tools to help fend off the onset of most common clinical conditions. 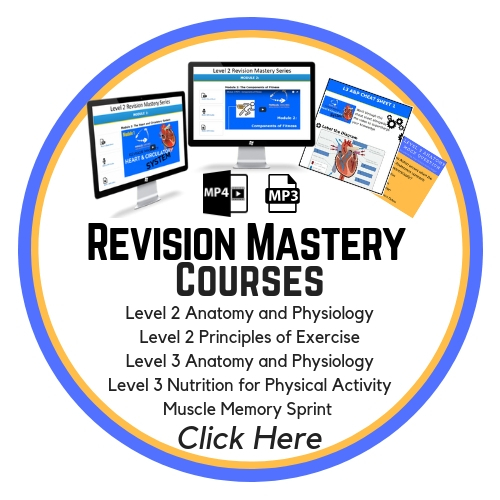 Learn to better understand the physiological, psychological and anatomical considerations of common clinical conditions including their limitations, how medications affect training, and the frequent fitness and nutrition obstacles that your clients’ experience during the onset and ongoing treatment of various conditions. You’ll focus on helping your clients maintain and improve their lifestyle around their condition using the latest training, nutrition, and mindset protocols. Boost your reputation, career, and client base by capitalizing on the growing demand for specialists trainers for common clinical conditions. Meet and work with your local GP practice and health care professionals by designing exercise and nutrition programs that specifically help clients with various common clinical conditions. Gain access to more clients who fail a PAR-Q and be rest assured you are qualified, confident and competent to work with them. Enjoy the convenience of learning at your own pace with each of the above online specialist qualifications. You will need to have completed a level 2 fitness instructor qualification to enrol on the level 3 exercise referral qualification and become a level 4 exercise specialist. Those enrolling on any level 4 exercise specialist qualification require a completed level 3 exercise referral qualification. You will be supported throughout your studies with weekly calls to suit your needs. 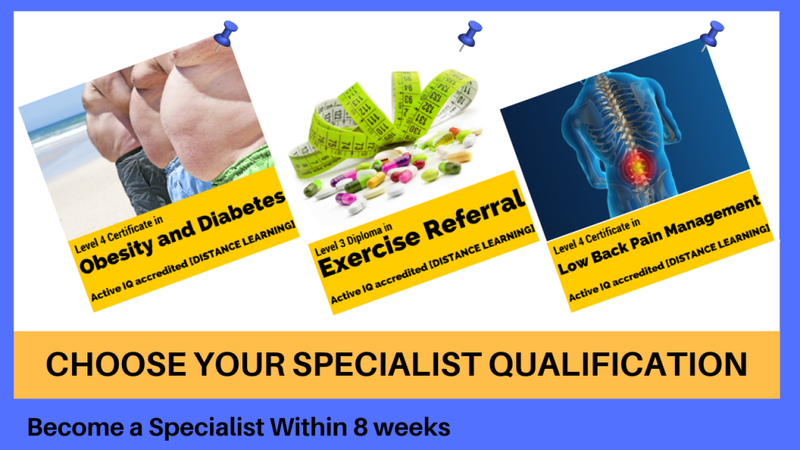 The quickest someone has completed either the level 3 exercise referral qualification or any of the level 4 exercise specialist qualifications is 3 weeks, with the average learners spending 8 weeks to complete. Yes, all the Parallel Coaching Qualifications are through Active IQ – the leading awarding body in fitness courses. The above qualifications can also be found on the national Qualifications and Credits Framework (QCF) website meaning that this is across the UK and hold REPS points.